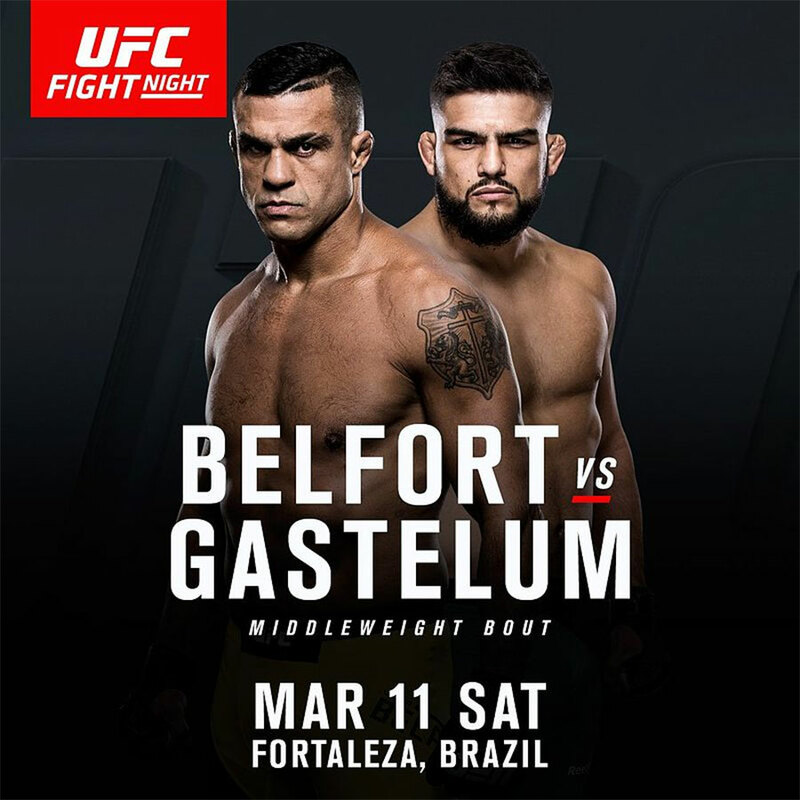 “UFC Fight Night 106: Belfort vs. Gastelum” takes place Saturday inside Centro de Formacao Olimpica do Nordeste in Fortaleza, Ceara, Brazil. UFC Fight Pass streams the first two preliminary bouts starting at 7PM ET/4PM PT. Fox Sports 1 will handle everything from there. The remaining four prelims air at 8PM ET/5PM PT. The main card begins at 10PM ET/7PM PT. A middleweight scrap between Vitor Belfort and Kelvin Gastelum headlines the festivities. Former light heavyweight champion Mauricio “Shogun” Rua and Gian Villante serve as the co-main event.